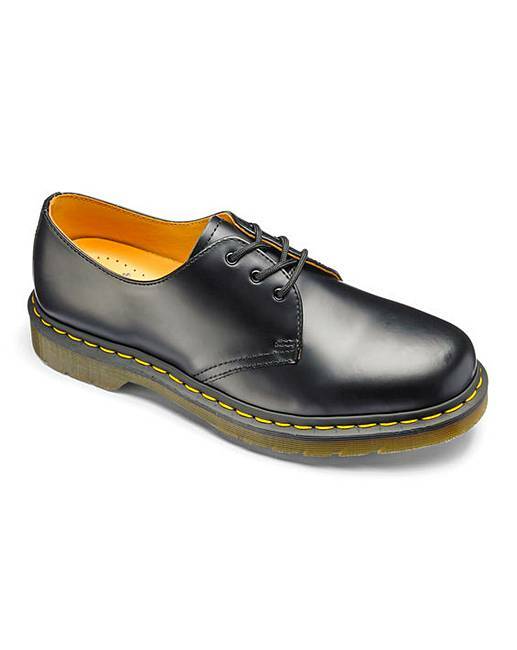 Dr. Martens 3 Eye Gibson Derby Shoes is rated 4.4 out of 5 by 12. 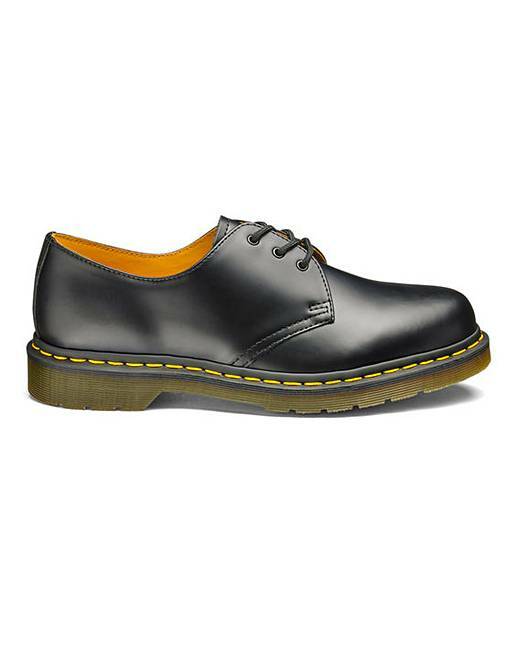 Dr Martens have become icons, recognized worldwide for their uncompromising looks, durability and comfort. 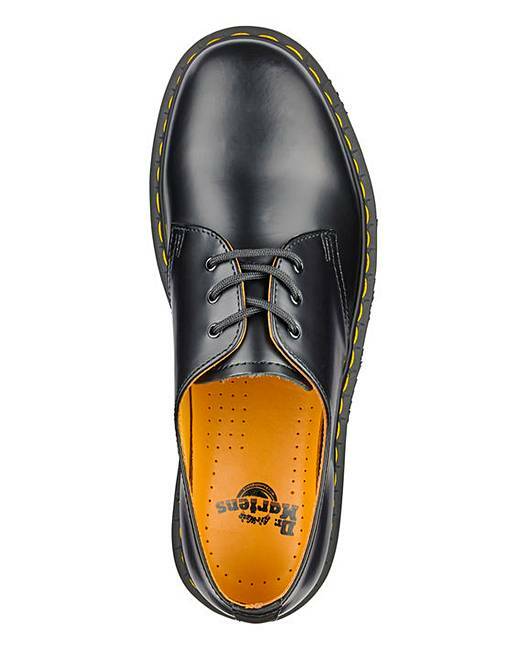 This style embodies all that is true and unique to Dr. Martens. Rated 3 out of 5 by Mark from Dissapointing The leather is not as good quality as it used to be, it will be the last pair of D Ms I buy shame been wearing them for 45 years. Rated 5 out of 5 by Richie Rich from Great shoes These are class shoes. Absolute quality. Take a little bedding in but fine after a couple or three wears. 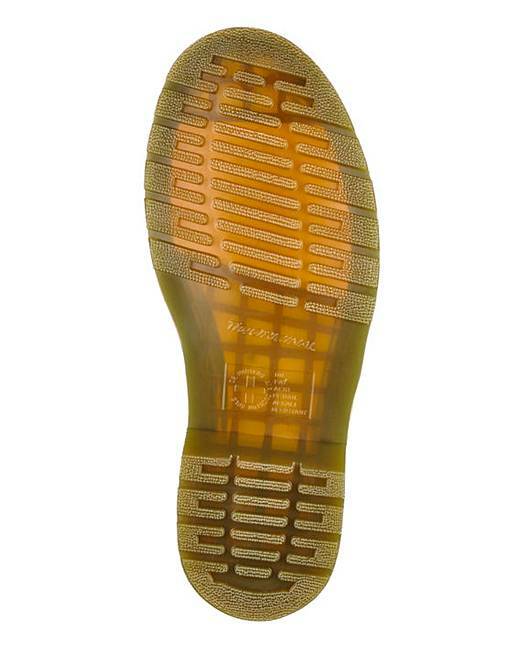 Rated 5 out of 5 by Tony H from Great Shoe Great price great fit would recommend no hesitation.And a great price. Rated 5 out of 5 by Diane from Tuff shoes and comfortable Expensive shoes but well worth the money, they will last a good long time. Comfortable under foot. Rated 1 out of 5 by Painful Feet from The most uncomfortable, unyielding shoes I bought these a month ago and am so unhappy that I did. The stitching on the tongue chafes badly. The sharp edges dig into the heels - I have to wear plasters for protection. All of which and more inhibits easy walking. Rated 5 out of 5 by Vikingcraig from Quality as expected Old favourites of mine, just wish they made a slip on version so I didn’t have to bend down to do them up.